Artyom Manukyan — Laguna Beach Live! 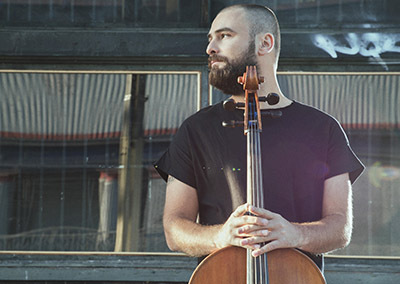 Cellist Artyom Manukyan first made his name as a musician to watch in his native Armenia and traveled the world as the youngest member of the BBC World Music Award-winning Armenian Navy Band. Currently living in Los Angeles, Artyom is equally at home on the stages of jazz clubs, concert halls and rock festivals, performing with major international artists including Darryl “DMC” McDaniels of Run-D.M.C. fame and Grammy-winning Latin alternative rocker Draco Rosa,Natasha Bedingfield, scoring for film and television or leading his electro-jazz quartet. Artyom’s genre-defying approach to playing the cello like a bass emerged from a combination of his conservatory training and exposure to the music of hallmark jazz bassists including Jaco Pastorius and Marcus Miller. A native of Yerevan, the Armenian capital, Artyom was influenced as a child by the music of both his mother, a classical piano teacher, and his father, a part-time DJ known as the biggest collector of jazz vinyl in Armenia. Artyom spent five years completing his classical cello education at the State Conservatory, and began playing in jazz bands before joining the 12-piece “avangard folk” Armenian Navy Band in 2006, playing the bass as well as cello. Since moving to Los Angeles in 2010, Artyom has been in demand as a session musician and soundtrack composer, as well as performing live with diverse players (Peter Erskine, Hadrien Feraud, Charles Altura, MdCL,Tigran Hamasyan, Herb Alpert, Vahagni, VOCE, Gretchen Parlato, Virgil Donati and many more). Artyom is currently touring with his debut album Citizen.